Did you know that you can make Jello that fizzes? Jello used to make special boxes of Jello it called “Sparkling Jello,” then everyone figured out that they didn’t need a $2 package of Jello because they could make it from the regular Jello and they stopped selling the special boxes. 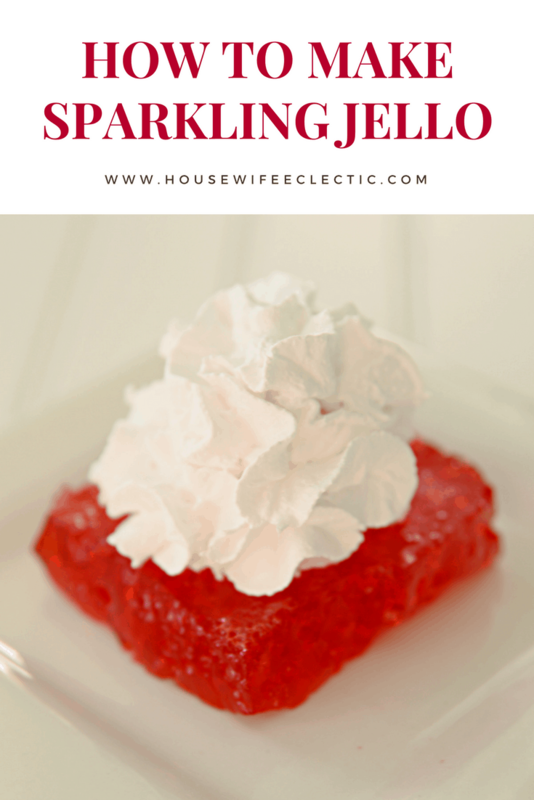 Sparkling Jello was one of my favorite things during the holidays as a child. My mom always made it during Christmas and I was always stealing and extra slice. 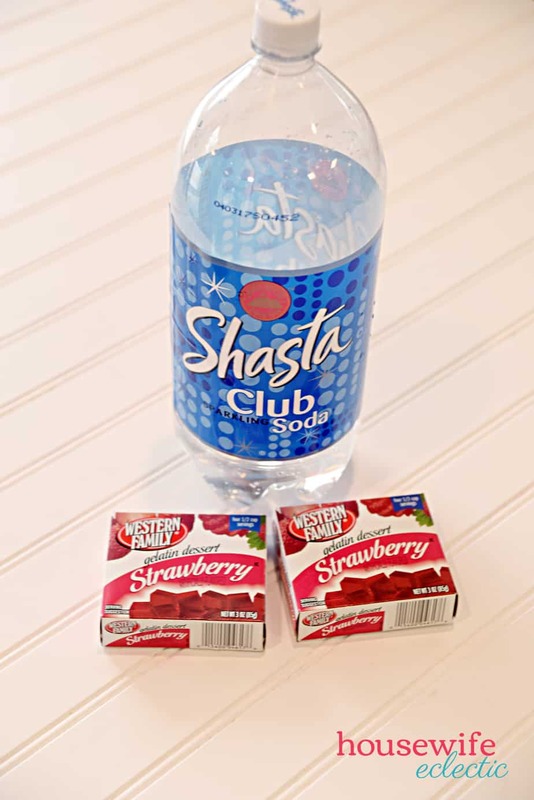 It is super easy to make, you need just one extra ingredient besides Jello and water… Club Soda. Bring one and a half cups of water to a boil. Stir the water in a bowl with the Jello. Stir quickly until the Jello is completely dissolved. Refrigerate the Jello for 15 minutes. Make sure to time the Jello, you don’t want it to set too much. Stir in the two cups of cold club soda. 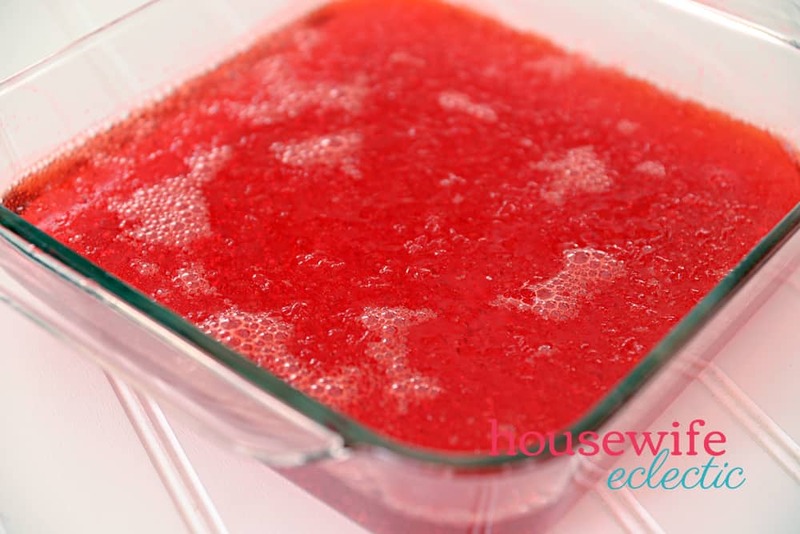 Refrigerate the Sparkling Jello until firm. 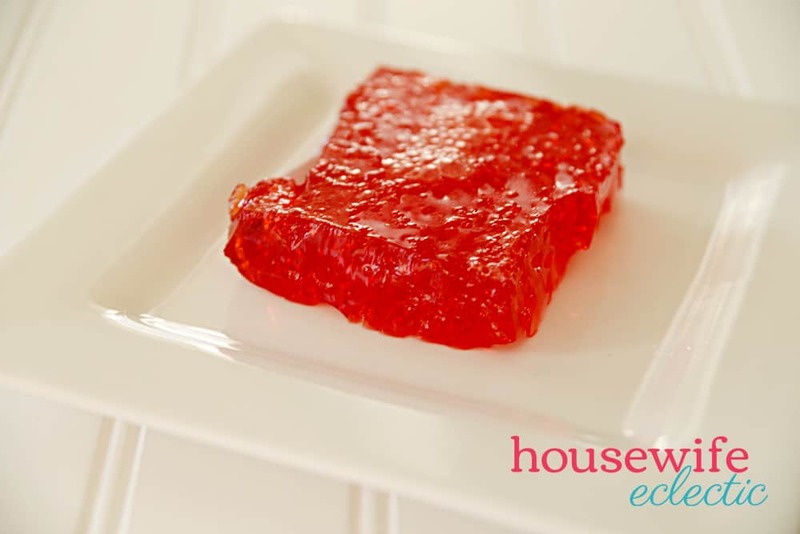 If you want to add fruit to your fizzy Jello, refrigerate the Jello for 30 minutes after you add the COLD club soda and then stir your chopped or sliced fruit in. Refrigerate until firm. Now your guests will have a fun surprise when their Jello fizzes in their mouths! I don't think I've every had fizzy jello before. I think my boys would really dig this! Thanks for the "recipe". Oh that sounds so weird … have GOT to try it! Thanks! So happy you posted how to do this. I am now actually excited for jello. Ohhhhhhh, thanks for reminding me! I loooooooove this stuff! I can't believe this is the first time I've every heard of fizzy jello. I guess I missed it when it was in the stores. Thanks for the recipe! Debra, that recipe looks so yummy! I’ll have to try that one. Thanks for sharing.